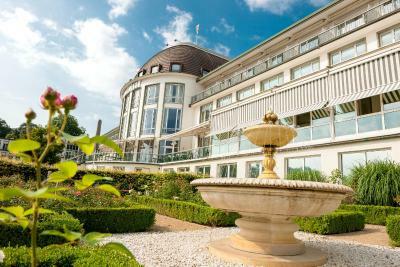 Lock in a great price for Dorint Park Hotel Bremen – rated 8.8 by recent guests! The breakfast buffet, the grandeur of the building. The room, the bed and the politeness of the staff. Same room as 5 years ago. loved the beds. woke up refreshed and happy every day. The pool and sauna are divine for overcoming jet lag The staff is professional and lovely to interact with. Very high class hotel, friendly staff and - rare: really, really quiet: no noise from adjoining rooms or the hallway. The hotel is located at the edge of a big park, meaning the surroundings (and the view) are wonderful too. The junior suite (an unexpected upgrade, thank you!) I stayed in was roomy and luxurious to a huge degree with lovely furnishings. 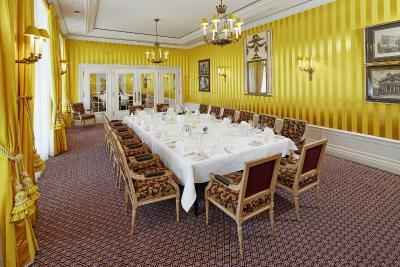 The atmosphere and style are classic and opulent. The usual tourist hotel, this is not. 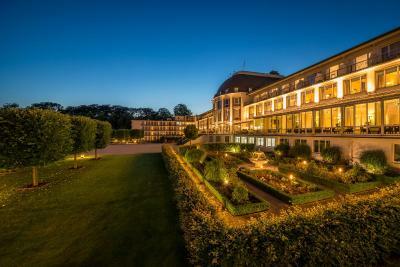 It is a great hotel in Bremen. I will stay here again next time. Very friendly staff, and a very nice view. The hotel was the quietest I've ever been in!! The location is a bit away from the city but we had a car so it was only a short drive away. Dorint Park Hotel Bremen This rating is a reflection of how the property compares to the industry standard when it comes to price, facilities and services available. It's based on a self-evaluation by the property. Use this rating to help choose your stay! 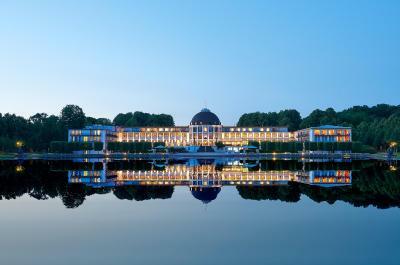 One of our top picks in Bremen.In Bremen’s Bürgerpark, this 5-star hotel features free Wi-Fi and a nearly 13,000-ft² spa area with a heated outdoor pool and sauna area. Park Hotel is a 10-minute walk from the Old Town and Bremen Main Train Station. 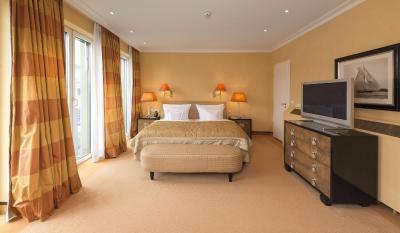 The rooms at the Dorint Park Hotel Bremen have been individually furnished with quality fabrics and antique furniture. Some rooms offer views of Holler Lake. Smokers can enjoy fine cigars in the La Fumadora smoking lounge. The Dorint Park Hotel’s spa features an ice grotto, 2 aromatic steam rooms and high-tech cardio machines in the 2-story fitness area. The hotel is just over a quarter mile from the ÖVB Arena and Trade Fair. Schwachhausen is a great choice for travelers interested in history, walking and culture. 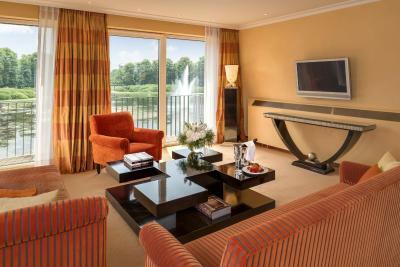 When would you like to stay at Dorint Park Hotel Bremen? 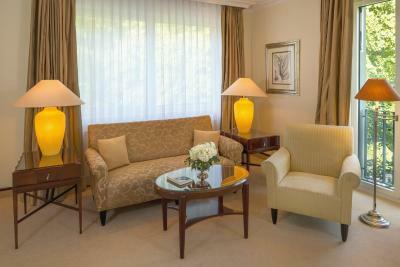 Individually furnished room with antique details. In the building’s West wing, this room offers lake or park views. 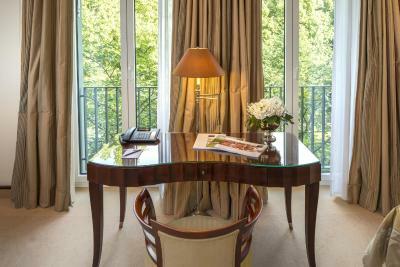 Located in the main hotel building, this room offers lake or park views. Some rooms also feature a balcony. Rooms with connecting doors are available on request. One child up to 6 years can stay free of charge in the existing bed. When making your reservation, please inform the property in the Special Request box if you are bringing a child. Located in the building’s East wing, this spacious room offers a DVD player and lake or park views. Some rooms also feature a balcony. 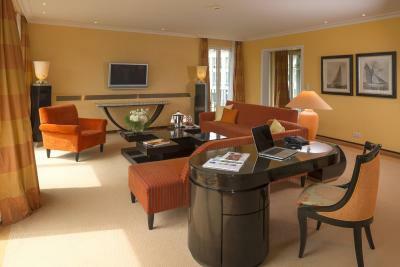 Individually furnished junior suite with antique details and a spacious marble bathroom. The living room is separated from the bedroom by an arched doorway. This room category also offers views of the park or the lake. Large, individually furnished suite with separate living and sleeping areas, guest toilet, marble bathroom and antique furniture. Most suites include a balcony. Hotel surroundings – This neighborhood is a great choice for travelers interested in history, walking and culture – Check location Excellent location – show map Guests loved walking around the neighborhood! 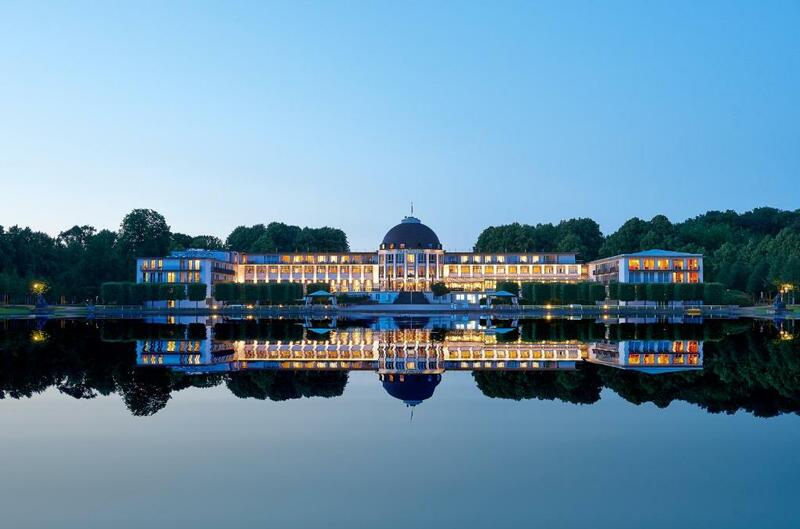 House Rules Dorint Park Hotel Bremen takes special requests – add in the next step! Dorint Park Hotel Bremen accepts these cards and reserves the right to temporarily hold an amount prior to arrival. Please note that a child up to the age of 6 can sleep for free in the Comfort Double Room, the Superior Double or Twin Room, the Junior Suite or the Comfort Suite. Appointments for massages and other spa services are highly recommended at the property. 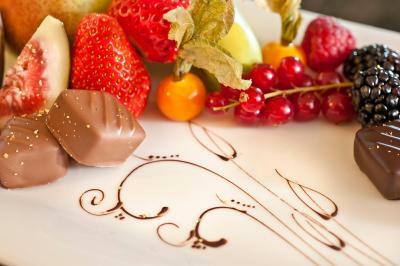 Good pleasant environment and decoration, roomy facilities, nice surrounding park. Very good breakfast, parking facilities, all in all very good. The all over facilities were poor. Long walk to the room, stairs up and down. The restaurant is a joke. No music, so everyone was whispering or you could hear every conversation at any table, a non motivated staff serving you, and the whole building is old and old fashioned. Overpirced for its quality. Breakfast should have more variety of food and for the price and the hotel you kinda expecg more quality but the only bad sidr. The servicing of the room could be better. We stayed for 5 nights and we had to ask the reception each day for coffee in the room. A Nespresso machine would be great in the suites at least. The breakfast is generally very good. However on a Tuesday morning, our 3rd morning the food was cold and the meat old and dry. It took too long to get table service for coffee. We decided to eat in the city for the remainder of the stay. We did inform the management on that day. That was the only problem we had. The pool and the spa facilities. Our room overlooking the lake, a superior room and the reception staff were very helpful. It has a good feeling. The bar was very good and the barman made excellent cocktails and had very good wine knowledge. This is my hotel when I go to Bremen each year. Slightly old-fashioned hotel, with lots of corridors and small flights of stairs to reach our room. Noticeable staining of the carpets in some corridors showed that they that they had been flooded recently (from the spa??) Door lock had a trick to it that took us two days to learn. Disappointed that the room did not have any coffee/tea-making facilities - something even the lowest grades of hotel are supplying these days. Very friendly staff - though not many of them, and comfortable hotel.